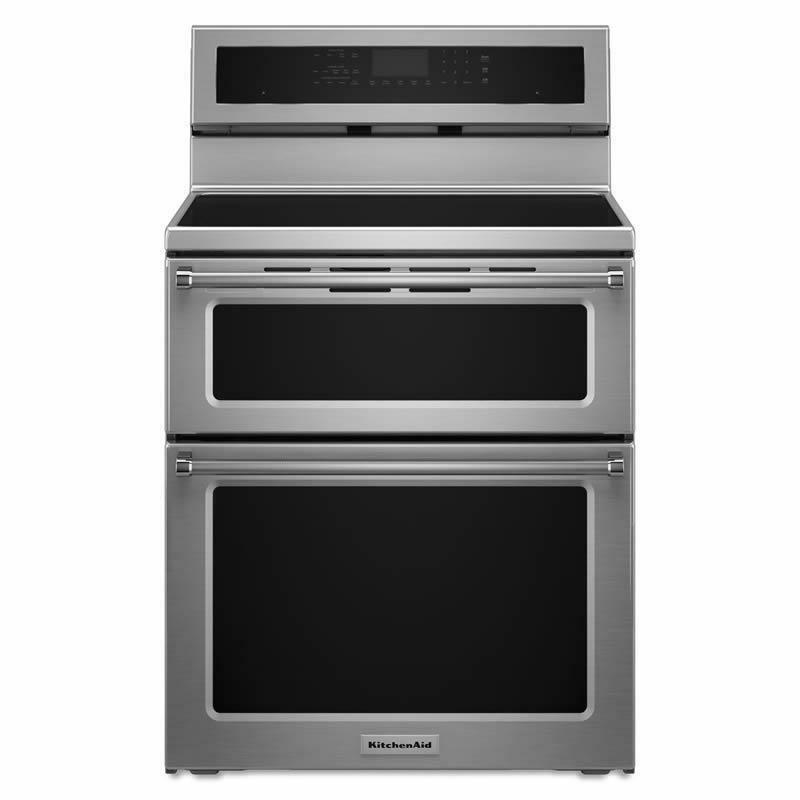 KitchenAid® 30" width induction double oven combines the precise control of a gas cooking surface with an electric oven to satisfy all culinary needs. The appliance also features a steam rack that provides additional moisture to the inside of the oven, enhancing cooking results. • 2- 6" Induction elements.